This year I enjoyed the golf season really as much as possible, especially on my „golf around the world“ trip but also on my other exciting journeys to the hidden gems around the globe. So a loyal mate is essential. The adipure TP is the perfect choice. Featuring the newest innovations for a fabulous round of golf. It´s not a surprise that Adidas did as always an incredible job while combining both, revolutionary technology with handcrafted details. 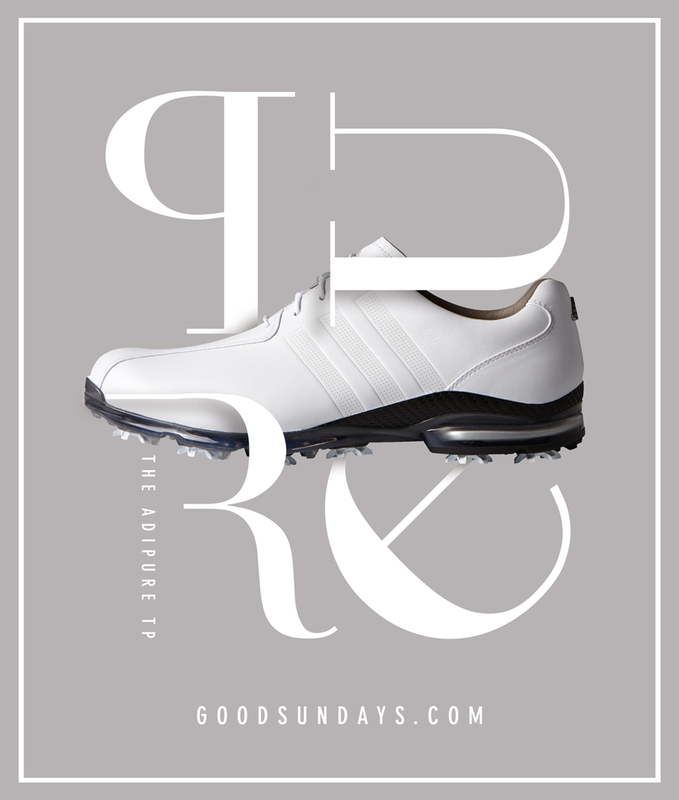 The adipure TP made of a new soft premium leather is exceptionally comfortable, waterproof and highly breathable to handle diverse weather conditions. Its fine decent colourway and the pure intelligent design guarantees the perfect combination of beauty and high-end performance right down to the smallest details such as premium waxed shoelaces to resist all external influences. This timeless classic is really a must for the very special moments on the course!